A new threat from North Korea to the rest of the world is almost a weekly event, but for the people in North Korea, BTJ is predicting a battle for survival this winter that will have nothing to do with war with America, Japan, or South Korea. 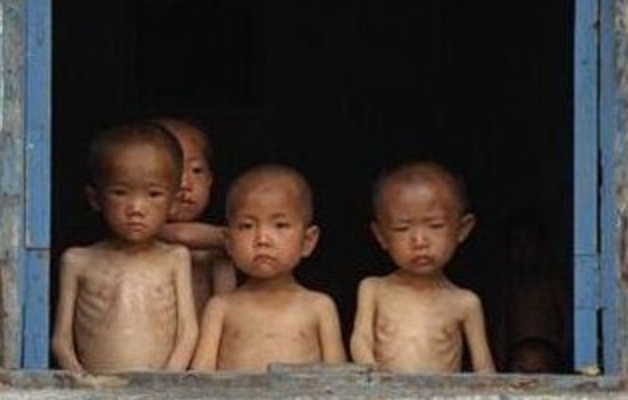 Starvation is on the horizon in North Korea this winter and it might be a perfect storm for the largest one in more than 20 years. With all of the missile launches and nuclear testing that North Korea is conducting, it is easy to miss that North Korea has suffered a significant drought this year. 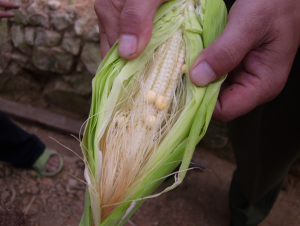 According to a report released by the UN Food and Agriculture Organization (FAO), a drought in the central and southern cereal-producing provinces in North Korea has led to “serious concerns” about the final production of the internationally isolated country’s main cropping season. Extreme drought in these critical growing regions has led to drastically less yields of staple crops and put millions of people at risk of starvation. The FAO report also states that Pyongyang will need to import more than 500,000 tons of food aid to stave off famine. If anyone has watched the news in the last week, 500,000 tons of food aid is most likely not on the way. Sanctions have been slapped on North Korea in the last couple of months that keep desperately needed items from going in or out of the nation. Even China, North Korea’s biggest supporter, is giving in to the sanctions. North Korea’s agricultural sector is also hampered by a low level of mechanization, poor irrigation and a shortage of fertilizers, all of which are long-term problems for the North’s farmers. It is only September, but BTJ is predicting that many deaths from starvation will hit during the winter of 2017/18. South Korea-based Daily NK news website has noted that the price for rice has already jumped up more than 10% in the month of June alone. In the 1990’s when several million people starved to death in North Korea, the three largest contributors of food aid were America, Japan, and South Korea. Unfortunately, these are the three nations that Kim has threatened the most with his provocative missile launches and nuclear testing. There are no signs that these nations are willing to help this time. For several people in North Korea, BTJ missionaries might be the only hope of survival. Unlike efforts that are launched by most humanitarian groups, BTJ missionaries do not give funds or resources to the government. Funds and resources are personally managed by missionaries and dispersed to individuals and families that are the most in need in North Korea.